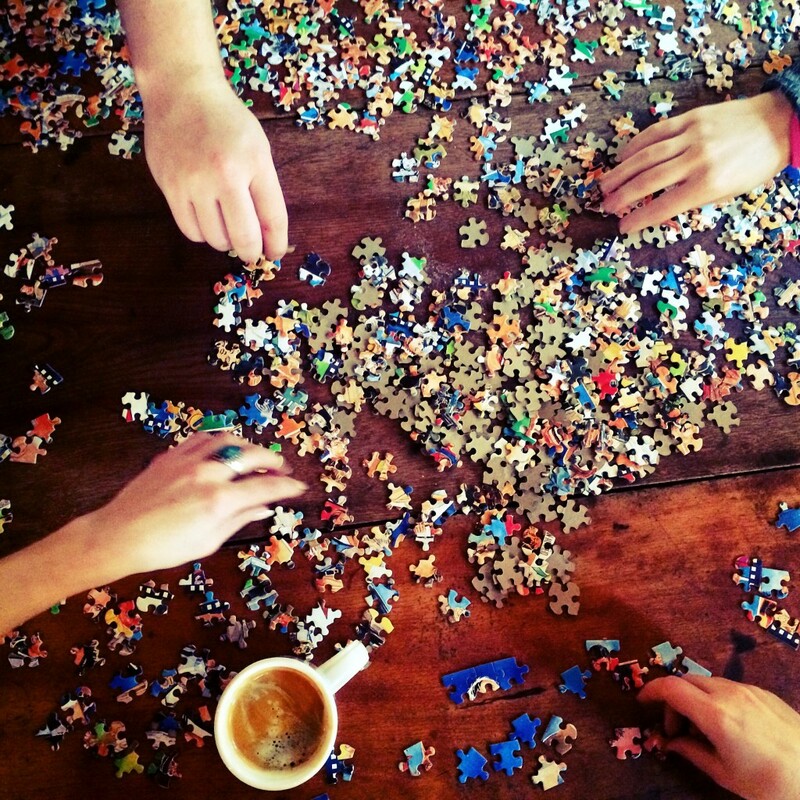 Did you know that January 29th is National Puzzle Day? I love puzzles! I snapped the picture above on New Year’s Day, at the start of our 1000-piece challenge. 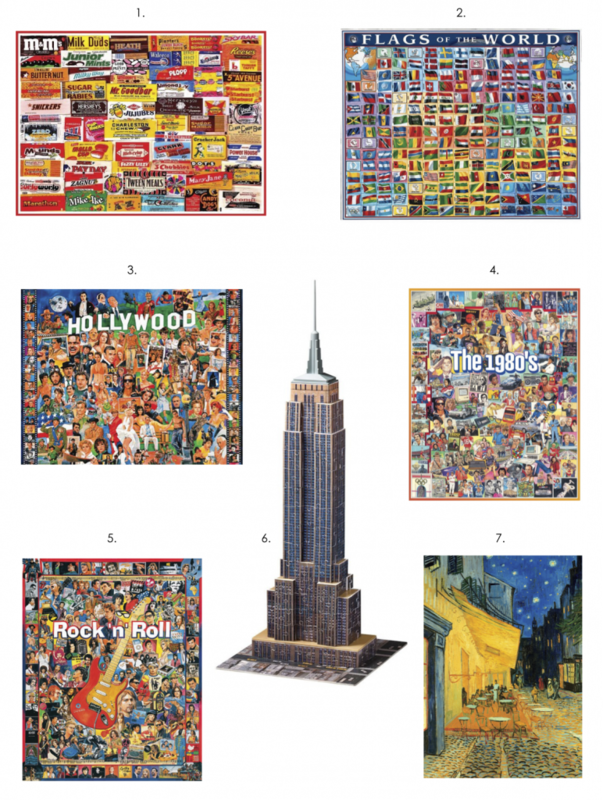 Puzzles give your brain a fantastic workout- making them extremely beneficial (for both kids and adults) and SO satisfying to complete! Cognitive Skills: When kids work on a puzzle, they practice identifying colors, letters, and develop spatial awareness. 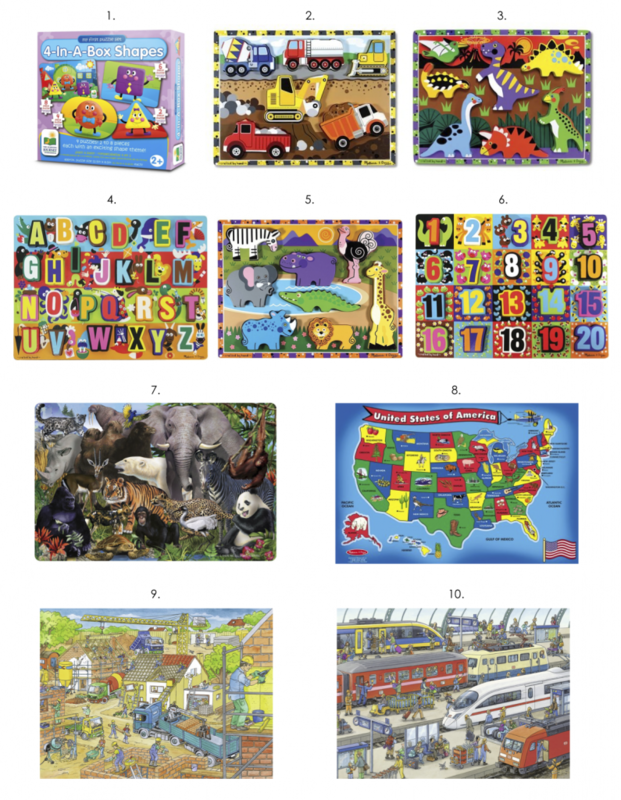 Puzzles also encourage kids to work on their memory. Hand-Eye Coordination: Getting the pieces to fit just right requires this valuable skill! Fine Motor Development: Picking up and placing puzzle pieces benefits fine motor development immensely. The smaller the pieces get, the greater the challenge! Problem Solving: You have one goal in sight when doing a puzzle. This requires children to think logically and come up with a plan to complete the task! Social Skills: Working in a group to complete a puzzle encourages kids to practice sharing, taking turns, and working in a team to achieve a common goal. In honor of today’s holiday, I put together a list of some of my favorite puzzles for toddlers, big kids, and adults. The toddler puzzles by Melissa & Doug have withstood years of play in our playspace and music studio’s lobby- I highly recommend them. As kids get older, increase the number of pieces and decrease the piece size to keep up the brain-boosting power of puzzles!